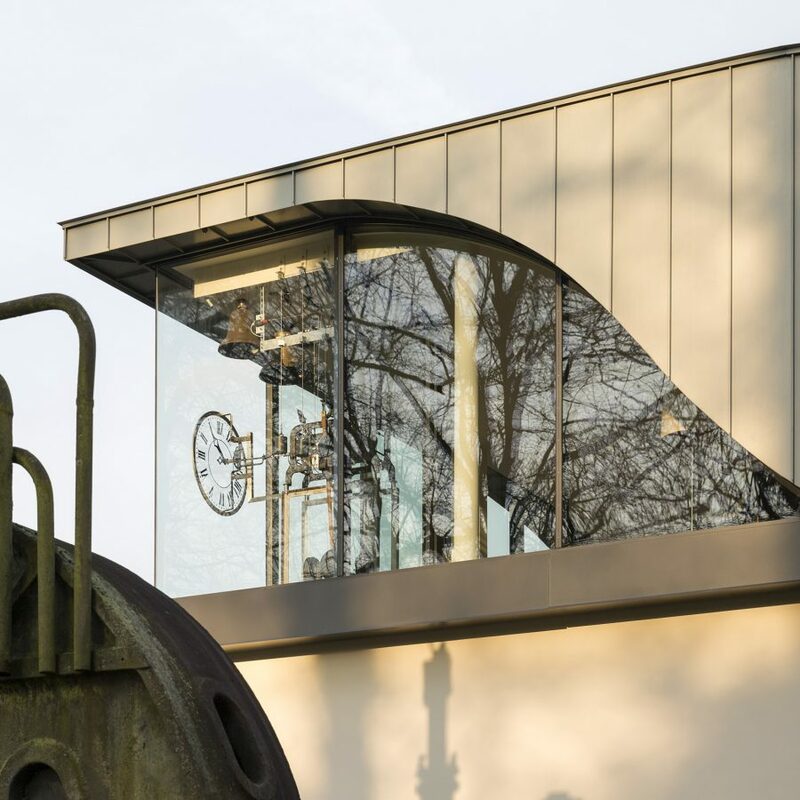 The project is the result of a decade of regeneration at Stahlwerk Augustfehn, a small steel factory in rural North Germany, where beautiful rare survivals of Germany’s industrial past are now accompanied by crisp contemporary architecture. 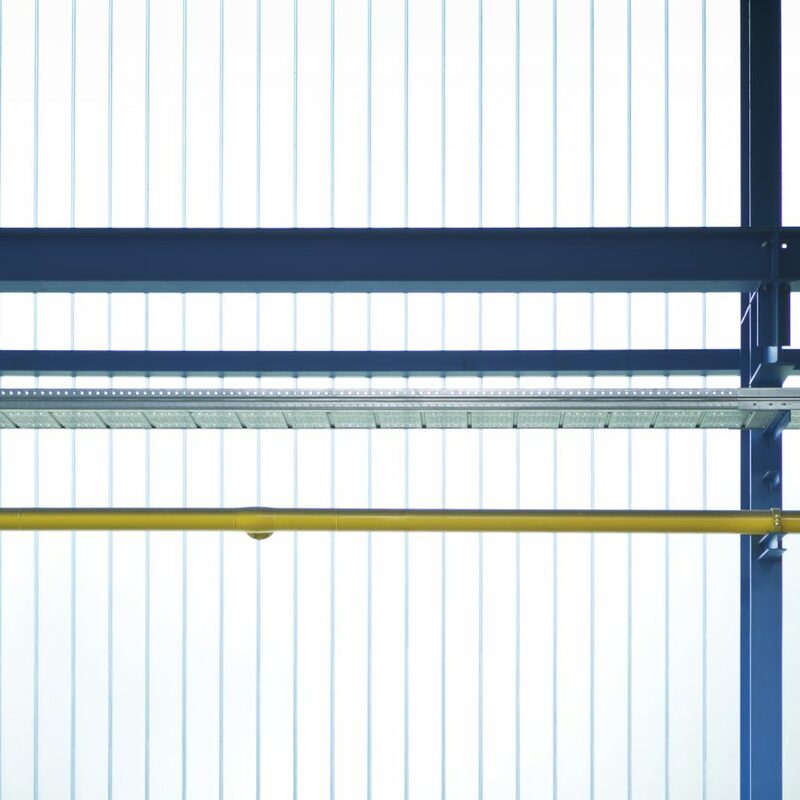 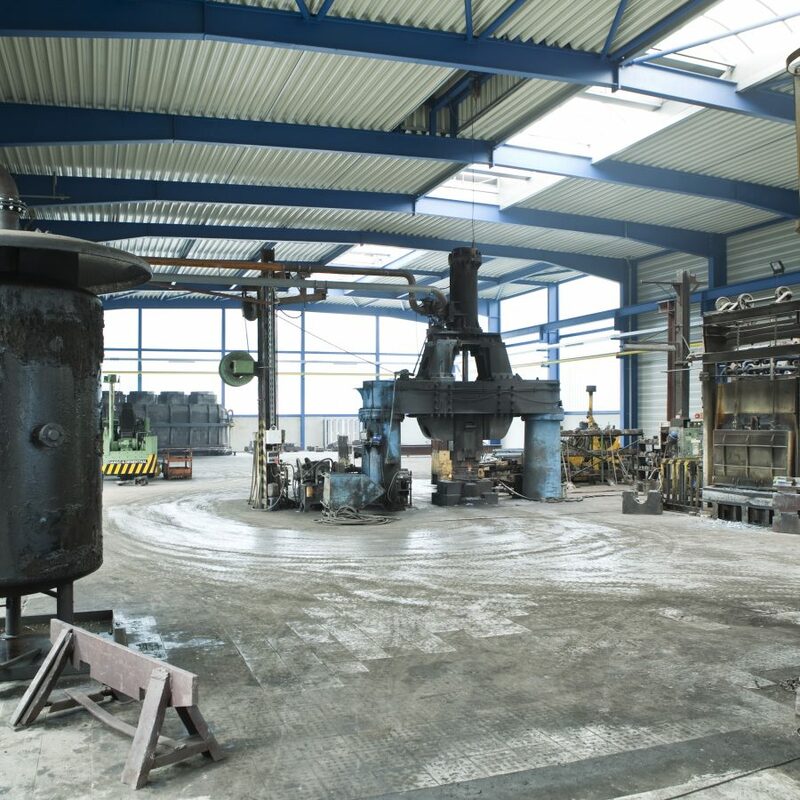 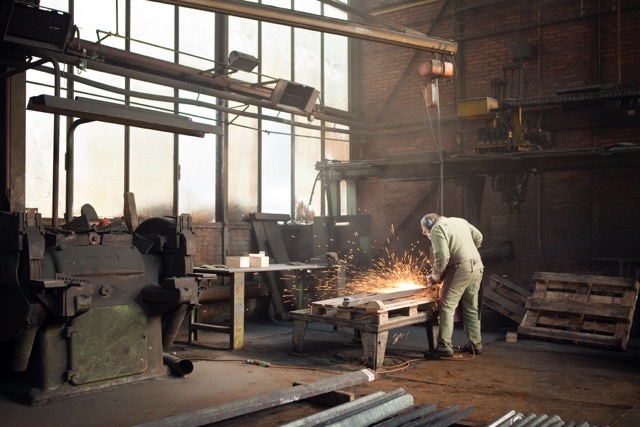 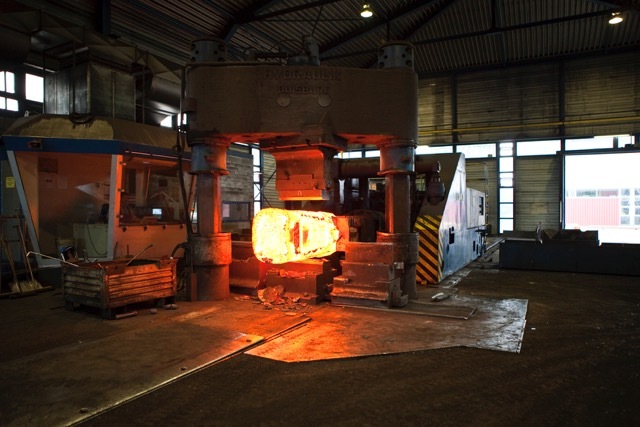 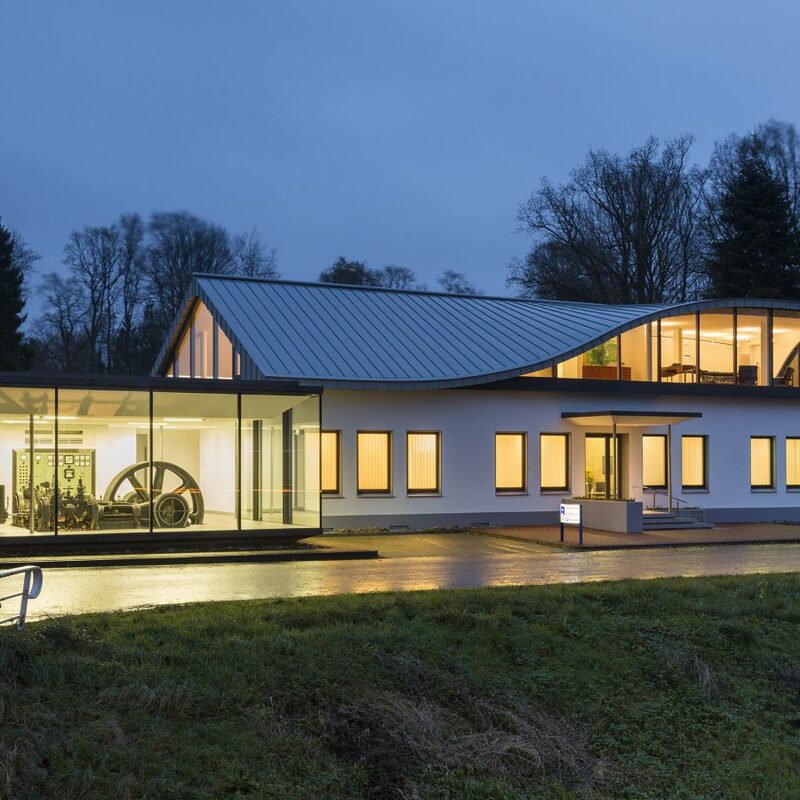 Alongside new production facilities, Finkernagel Ross has captured the unique industrial heritage of Stahlwerk Augustfehn by restoring and displaying industrial artefacts in the new buildings. 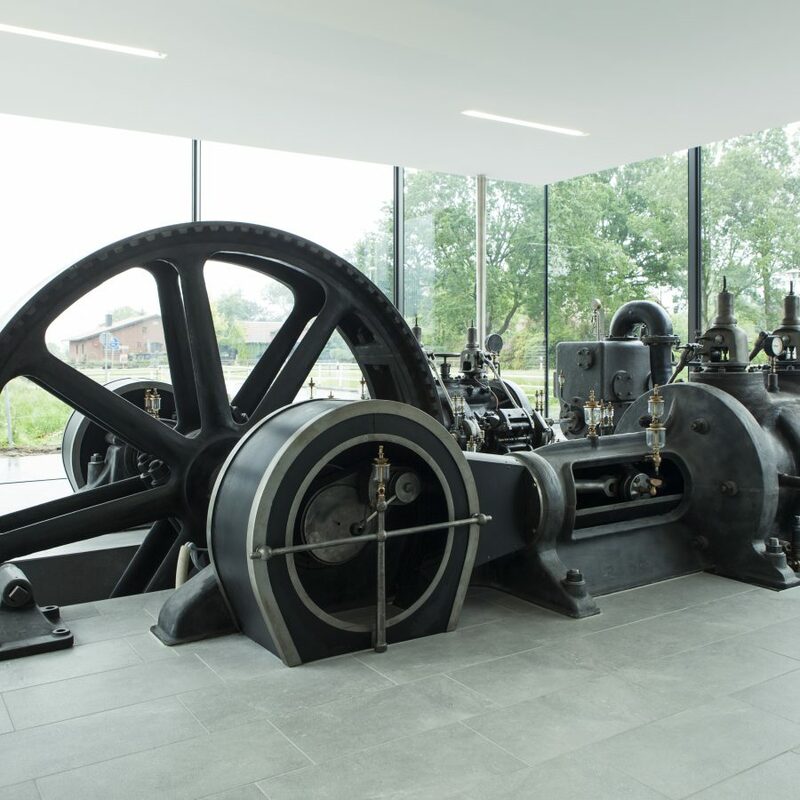 These unearthed artefacts of a bygone era include a painstakingly restored former factory clock, a listed steam engine dating from 1902 (the only one of its kind still in operation) and several old original steel hammers.